The central portion of York House, earlier known as "Yorke ffarme" was built in the 1630’s and derived its name from past owners of the Twickenham Manor, the York family. Andrew Pitcarne, a Scot, a former Page and then Groom to the Bedchamber to Charles I had the house built for himself and was occupying it by February 1638. Pitcarne died in 1640 and his family sold the house to the Earl of Manchester (Godmanchester in Huntingdonshire) in 1656. Manchester, the 2nd Earl and a personal friend of Charles I had taken the parliamentary side in the Civil War, and as a general fought at Marston Moor. A moderate, he opposed the King’s execution. At the restoration of Charles II he was reappointed to his offices of state. Manchester sold the house in 1661 to Edward Hyde Earl of Clarendon, now Lord Chancellor. Clarendon, however, fell from power and under threat of impeachment fled to exile in France in December 1667. His second son Laurence, later Earl of Rochester inherited the house and for a time lived there, but after 1681 rented it out. The house was eventually sold to Sir Charles Tufton in 1689. His family remained in possession of the house until the death of Lady Tufton in 1720. The house was then bought by Thomas Vernon. He died in 1726 and his widow sold the property in 1742 to Pawlett St John who sold it on to Joshua Naylor, a jeweller. In 1746 it came into the hands of James Whitchurch, a retired businessman who was a Churchwarden at St Mary's in 1750 and 1751. He may have been responsible for some of the alterations to the house. Whitchurch died in 1785/86. Lt.Col. Webber acquired the house in 1788, living there until 1796, when Count (later Prince) Stahremberg the Austrian ambassador to London, known to his friends as Kukuk, acquired the property. He installed a private chapel and indulged in music, whist and private theatricals. He befriended the three Orleans Princes then in exile in Twickenham. Stahremberg had to leave England in 1807, but returned in 1809 disguised as a bearded Jewish trader (to avoid Napoleon's agents). He was recalled to Vienna in 1810 following Napoleon's victory over Austria. York House was then leased to the invalid Archbishop of Dublin until 1816. Stahremberg was badly in debt; amongst other creditors he owed money to Samuel Davies, a butcher in Church Street. 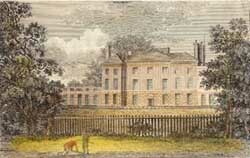 In 1818 the house was sold to Mrs Damer, a sculptress and close friend of the late Horace Walpole. She died in 1828 and the house passed to Sir Alexander Johnston (1775-1849),a brilliant linguist and former Chief Justice of Ceylon. He founded the Royal Asiatic Society in 1823 and became a Privy Councillor in 1832. Members of the Johnston family continued to live in the house until 1863, intermixed with tenants such as the Dowager Duchess of Roxburghe until 1837, and the Earl of Lonsdale until his death in 1844. By 1863 the house was empty. In 1864 the property was acquired by two directors of Coutts Bank on behalf of the Orleans Pretender, the Comte de Paris. Three of his four children were born in York House. His family left the house following the Franco-Prussian War of 1869-71 and the defeat of Napoleon III. The house remained empty until 1876 when it was bought by Sir Mountstuart Grant Duff (1829-1906), a Scot, and an MP who was a junior minister in Gladstone's first government. 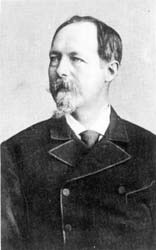 Between 1881 and 1887 Grant Duff occupied the post of Governor of Madras. After his return to England Grant Duff spent time in Twickenham, but more in London or Scotland. In 1896 the Duc d'Orleans bought the house and made major alterations but did not live there for long: he left England in 1900 under a cloud and sold the house in 1906. The next and last private owner was Sir Ratan Tata (1871-1918), a Parsee and a major industrialist in India. A generous donor to charities, he entertained widely until 1914, when he returned to India. In 1917 he on his way back to England, his ship was sunk in the Mediterranean. Now a sick man, he survived, only to die in 1918. 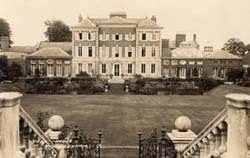 He too had made many alterations to York House and its grounds, including the installation of the statues. His widow decided to sell the house and its contents in 1924. It was acquired by the Twickenham Urban District Council (UDC) and subjected to major alterations to become Council Offices. The new Council Chamber for the Twickenham Corporation was formally opened by the then Duke of York (later King George VI) in 1926.